Strobel & Sands is pleased to announce the first exhibition, Super Normal Revisited at the Emerson Garage. 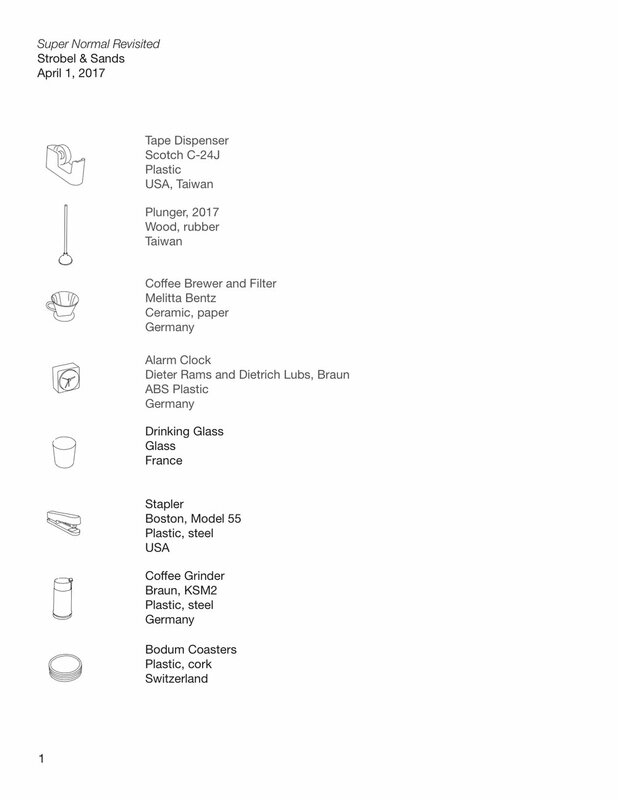 This presentation of designed yet ordinary objects, seeks to find a deeper understanding of the project called Super Normal first created by Naoto Fukasawa and Jasper Morrison in 2006. By re-examining the function and form of items most of us take for granted, the exhibition attempts to ponder the possibilities of overdesign, overuse and overconsumption. For Super Normal Revisited, the curators have taken objects that to them represent the most “normal” of functionally designed objects and have displayed them as one would 3-dimensional art objects. This is not a restaging but a re-examination of the concept behind the original Super Normal project and how it relates to our consumerist obsession with design, objects and function. For Fukusawa and Morrison’s 2006 exhibitions in Tokyo and London, the two designers presented everyday, often anonymously made objects alongside those made by known designers, in white walled gallery spaces and on white blocks thereby isolating the materiality and form. The dialogue created by these combinations revealed that the more normative the object, such as a paperclip, the more longevity of every day use. For Super Normal Revisited, the presentation is of seemingly anonymous, often iconic, functional items. Their function almost obliterates the need to analyze their formalistic aesthetic as they are so banal, they are probably only unconsciously noticed. The exhibition seeks to present them so as to be seen in a new light and therefore appreciated for their unrivaled subsistence. As contemporary culture’s obsession with designer goods and name brands intensifies, it becomes apparent how things become so overdesigned that their original function is often lost, overshadowed by designer whimsy. 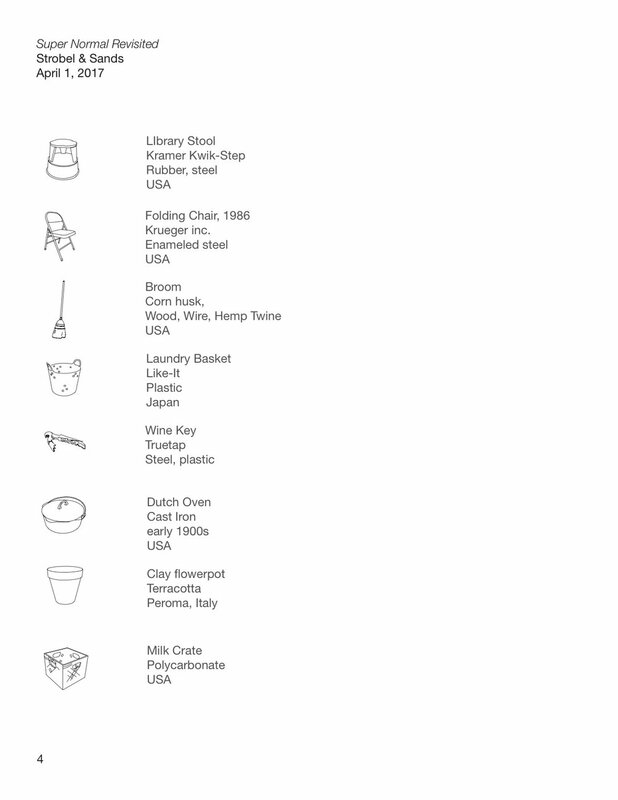 The exhibition asks the viewer to considering the option to think about what are examples of excellent design; some are branded (Sharpie) while others simply exist in the world (clay flowerpot). By over-designing, the embellishments of the author become the perceived essence of the object not the object’s function as integral to the form.